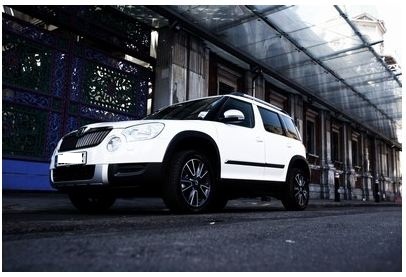 The new edition of Yeti compact SUV is great news for ŠKODA car buyers with a proclivity for stylish designs. SKODA will be launching a special-edition variation of the Yeti SUV, based on the SE trim but with the addition of many impressive new features and will be called the Yeti Urban. The launching of the SKODA Yeti compact SUV in 2009 enjoyed sales that led to the registration of over 8,800 units in the UK alone! With the extra add-ons and the ultimate in performance, the Yeti Urban is most certainly the car to lease in the market today. It is irrefutably on record that SKODA Yeti compact SUV made remarkable history by collecting a total of twelve independent product awards in the UK and is set to continue as a firm favourite amongst motorists looking for style as well as performance. A surprising fact is the Yeti Urban made history as the first car model of its type to hit the auto-market in the UK with digital radio as standard (DAB). The voguish and quite brilliant Yeti Urban boasts a number of salient features over the conventional SE trim and comes with Amundsen+ satellite navigation, a multiple-function steering wheel, an audio system, Bluetooth connectivity and a telephone system. A perfect vehicle leasing choice unexampled in technology, appealing to the style conscious and charming UK car buyers with its on-road performance, family orientated practicality and rugged styling.